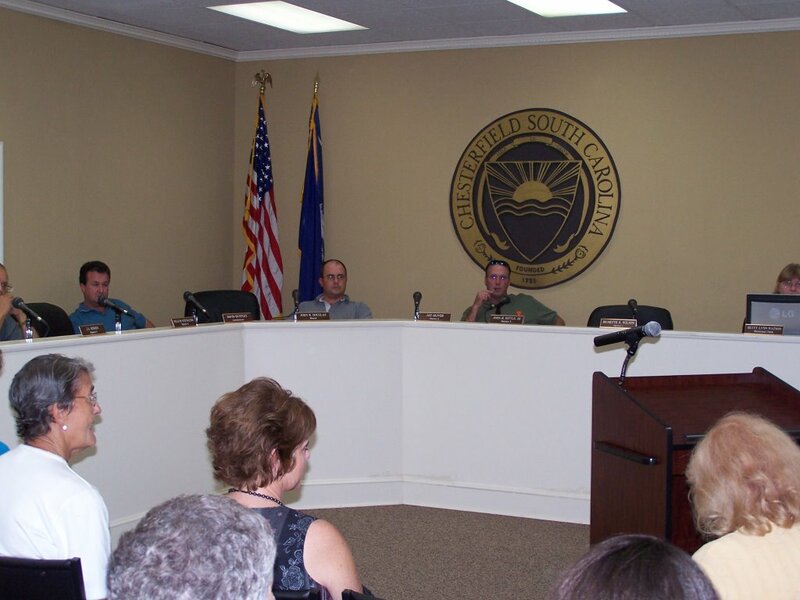 FREEDOM WATCH: ACTION FROM THE CITIZENS OF CHESTERFIELD , S.C. 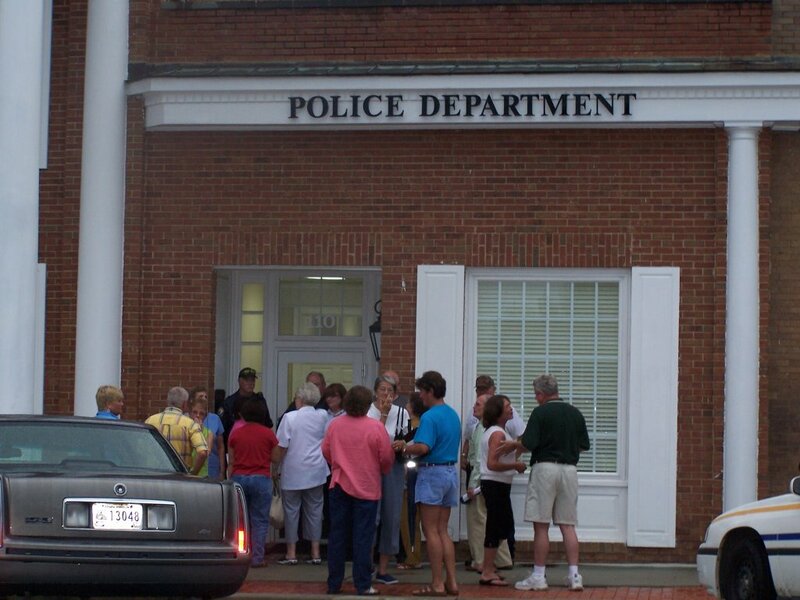 THE CITIZENS OF CHESTERFIELD , S.C. came out in a "STRONG SHOW OF FORCE". Reminiscent of years long ago, when town folk, took the time out of their busy schedules to assert their constitutional rights and voice opposition to town council. Not for the minority but for the majority. Rumours around town, for the past week, depicted THE MAYOR & TOWN COUNCIL were attempting to close down the TOWN'S POLICE DEPARTMENT. In lieu of, a Police Force, plans were to turn over the PROTECTION & SAFETY of Chesterfield citizens to the CHESTERFIELD COUNTY SHERIFF'S DEPT. 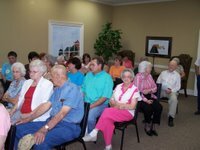 Town Hall was filled to and over-flow capacity with citizens sitting on the floor, standing along the walls, and flooding out the front door. 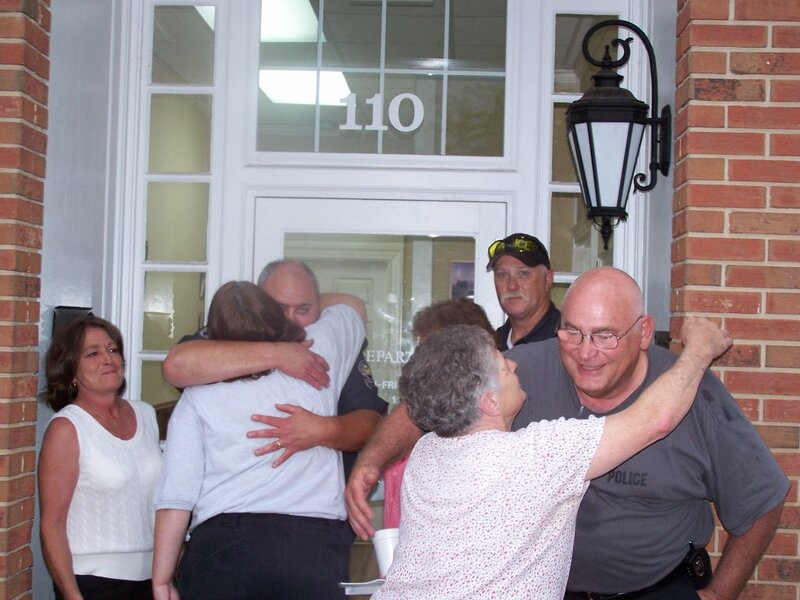 Banding together with Chesterfield citizens were local business owners, friends and relatives from the entire county. 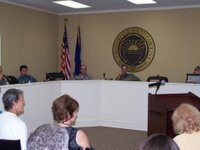 After the debate was over, Mayor John Douglas & Town Council Members hands were forced to vote in a BINDING REFERANDUM. It was reiterated by numerous town folk that "IF" they were to entertain this option, in the future, the CITIZENS would be given 60 days public notice of the impending referendum vote. At the conclusion of the meeting, Police Chief Lear and his deputies stood outside of the police department, in the rain. The spirited greetings, though, were not dampened by the weather conditions. 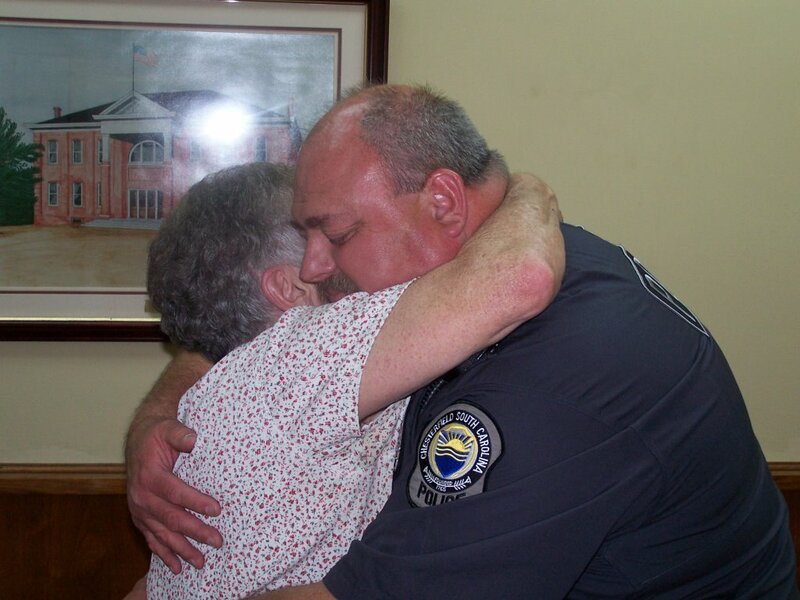 An overwhelming display of affection, HUGS & KISSES, were given in show of support and thanks for their continued commitment to "Protect & Serve".